John Bautista has been admitted to New York-based CohnReznick LLP (FY14 net revenue of $508.2 million) as a principal in the firm’s valuation advisory services practice. “The addition of John marks a very exciting milestone for our practice group. His extensive business valuation experience and background in serving numerous industry sectors will enhance our valuation advisory services practice’s service offerings in regions firmwide, providing a significant benefit to our clients,” says Patricia McGarr, a CohnReznick principal and national director – valuation advisory services. With more than 20 years of experience in corporate finance, his emphasis has been on valuation of businesses, business interests, securities and intangible assets for transactions, tax and financial reporting and other strategic purposes. Bautista has extensive experience in transaction advisory services associated with M&A (e.g., fairness opinions and purchase price allocations), carve-outs and divestitures, private equity and restructuring transactions. He has serviced a wide array of industries, including industrial products, business services, retail, technology and new media, asset management, hospitality, telecommunication, biotechnology and life sciences and other service sectors. 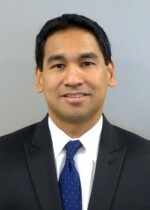 Prior to joining CohnReznick, Bautista he served as co-head of a firm’s tax and financial reporting valuation practice for the U.S. Northeast region.